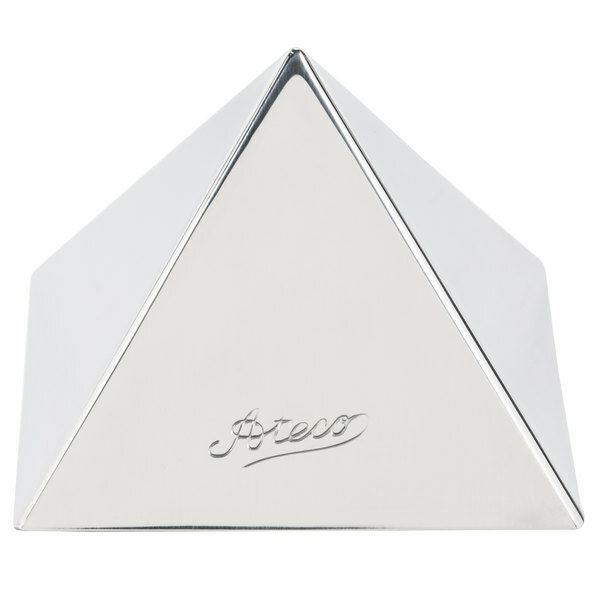 Ensure your meal presentation is always precise and creative with this Ateco 4935 2 1/4'' x 1 1/2" stainless steel small pyramid mold! 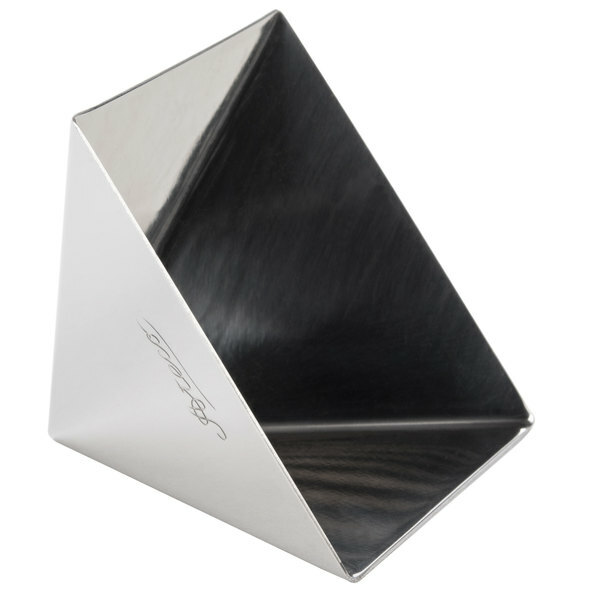 Made of high-quality stainless steel, this unique item is durable and built to last. This ensures consistency of size and shape, while also cutting down on preparation time when compared to hand-molding. 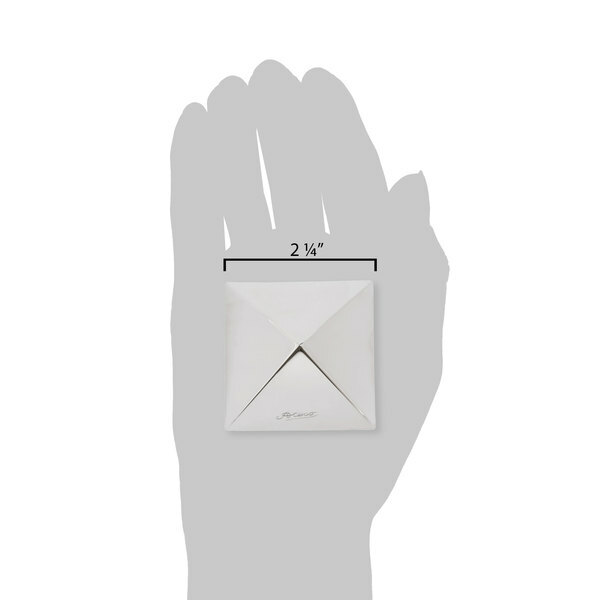 Additionally, it assists with portion control and therefore helps you to prevent waste and save on food costs! The solid shape allows you to make your dish in your prep area and then easily move it to your serving plate without any mess! Perfect for creating side dishes and decadent appetizers, this item is just what you need to streamline your bakery operation. The smooth metal also allows your food creations to easily be removed from the rings when ready to serve. 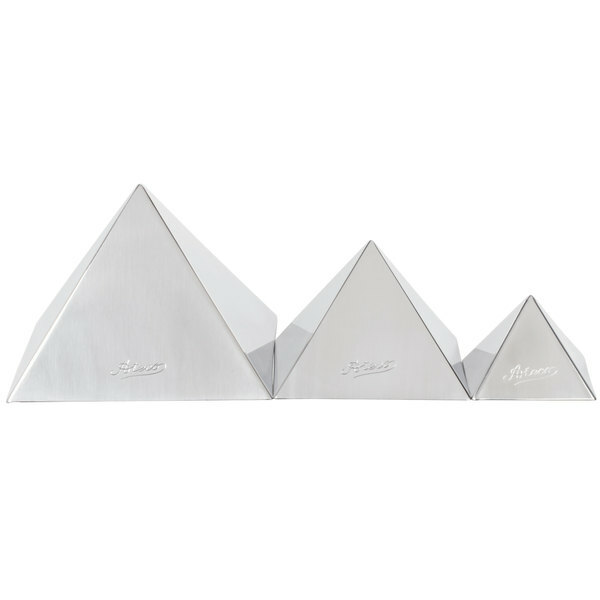 No matter what your needs are, this Ateco 4935 2 1/4'' pyramid food mold is sure to be a vital tool in your collection! Love this mold especially for making home made chocolates. It is easy and convenient to use. I was gifted this mold & will definitely buy more from your site due to nice pricing. This small pyramid mold is sturdy, does not rust and very easy to clean. All my baking supplies are from ateco, they make great products. I use this to give form to my rice for curry dishes. These are great molds for chocolate, diplomat cream, jello, or anything else that can stand up on its own! They are seamless molds are just the right size to fit in a small cup to fill it!